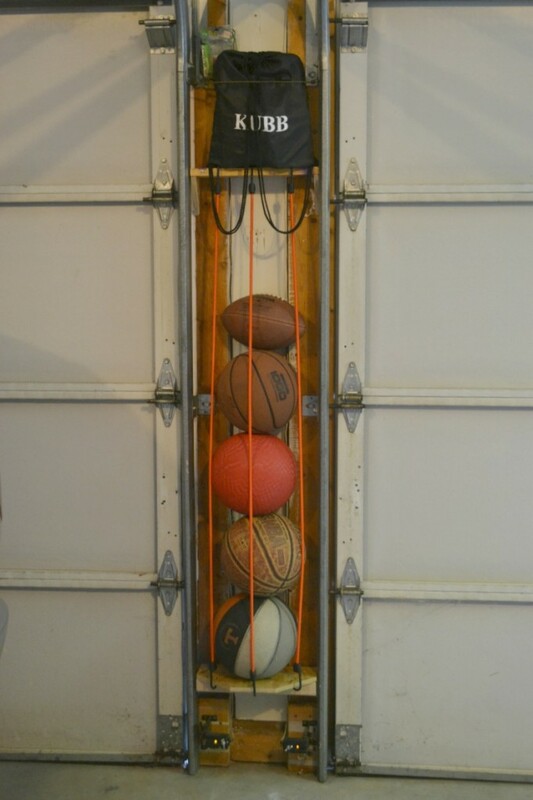 We used our Black+Decker 20V MAX Lithium drill to help us organize the garage with a DIY sports ball holder. We have had balls rolling all over our garage for years, so it was beyond time to corral them. My husband used some scrap lumber, some screws and 3 bungee cords to make our DIY sports ball holder.